Dymetadrine Xtreme is the most effective Ephedra-Free fat-burning and pre-workout energy supplement available anywhere! Bar none – case closed (website). 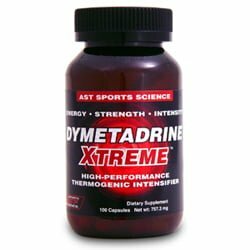 This Dymetadrine Xtreme review will explore each ingredient and discover if there really is any difference between Dymetadrine Xtreme and other diet pills. (Green tea, L-Phenylalanine, L-Tyrosine, Caffeine anhydrous, Norsynephrine HCL, Theobromine HCL, Yohimbine HCL). Magnesium, Vitamin C, and Vitamin B6 are all important to a healthy lifestyle. However, they have NOT been proven to contribute to weight loss. Green tea is a well-known, clinically proven diet pill ingredient. Unfortunately, Dymetadrine Xtreme fails to list how much green tea is included in their formula. 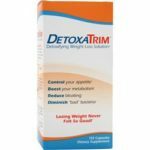 Thus, it is impossible for this Dymetadrine Xtreme Review to determine if there is enough green tea in Dymetadrine diet pills to be effective in promoting weight loss. L-Phenylalanine is an amino acid which acts as an appetite suppressant. It has been proven to contribute to weight loss. Once again, Dymetadrine Xtreme does not disclose how much L-Phenylalanine it contains, making it impossible to know if there is enough to make a difference in weight loss. L-Tyrosine is another amino acid. 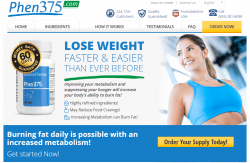 It has been proven to help to synthesize proteins, which leads to weight loss. I feel like a broken record, but Dymetadrine Xtreme does not list how much L-Tyrosine it contains either. Caffeine increases metabolic function, leading to weight loss. If Dymetadrine Xtreme listed how much caffeine it contains (which they dont list), we would know if there is enough caffeine to be effective. 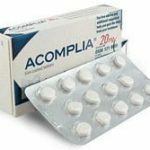 Synephrine is another clinically proven diet pill ingredient which contributes to weight loss. Again, there is no listing of how much Norsynephrine is contained in Dymetadrine Xtreme diet pills. Theobromine is an ingredient in chocolate. It is supposed to be a mood enhancer. Theobromine has not been shown to contribute to weight loss, but it is well-known that mood can affect weight loss. Yohimbine has been proven to increase fatty acid mobilization, leading to weight loss. No doubt you noticed a common thread with these ingredientsDymetadrine Xtreme does not list how much of each ingredient is included. According to their website, We keep the actual amounts of each ingredient proprietary so other companies cant copy our formulation. Usually the real reason companies fail to disclose ingredient amounts is because they include very little amounts of each ingredient; they typically include some proven ingredients but in amounts too small to make a contribution to weight loss. Dymetadrine Xtreme diet pills cost $29.56 for one bottle. If you take the recommended 6 capsules per day, one bottle will last 8 days. A one-month supply is over $110. This is WAY too expensive for this product. 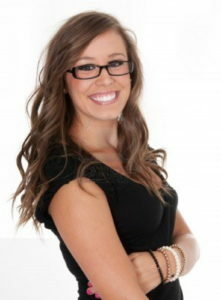 There is NO evidence to show that Dymetadrine Xtreme diet pills actually work. You can buy it on Amazon at $29.73 per bottle. The Dymetadrine Xtreme website is full of unfounded claims that are misleading to consumers. They claim, In fact, no other ephedra-free thermogenic supplement has been proven more effective than Ephedra-Free Dymetadrine Xtreme. The truth is Dymetadrine Xtreme has not been proven to be effective, not to mention that other thermogenic diet pills have been proven effective. The Dymetadrine Xtreme website also contains the typical sensationalized testimonials (probably because they cant legitimately back-up their product). This Dymetadrine Xtreme review finds that this is a run-of-the-mill diet pill. They hide how much of each ingredient is included, and they make misleading statements to trick consumers into buying Dymetadrine Xtreme. 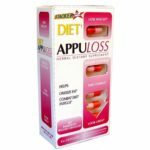 Find a diet pill that can actually back up their claims, one that includes the proven amount of each proven ingredient.